The investigation is continuing by KSP Collision Reconstructionist Sergeant Eric Fields. 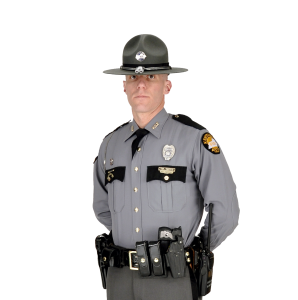 Hickory, KY (December 11, 2018) – The Kentucky State Police received a call of a collision in Graves County at approximately 5:59 p.m. at the intersection of KY 408 and Meridian Road on December 10, 2018. Preliminary investigation shows Kevin L. Bond, 41 of Hickory, was traveling north on Meridian Road operating a Pontiac Grand prix. Jason S. Wilson, 32 of Fancy Farm was traveling east on KY 408, operating a Chevrolet Silverado. Preliminary investigation shows Bond failed to stop at the intersection for an unknown reason and collided with Wilson. Bond was not wearing a seatbelt and alcohol is believed to be a factor. Bond was pronounced deceased at the scene by Graves County Coroner. Wilson did not receive any injuries. The investigation is continuing by KSP Collision Reconstructionist Sergeant Eric Fields. KSP was assisted on the scene by the Graves County Coroner’s Office. Viola Fire Department, Mayfield EMS, and the Graves County Sheriff’s Department. Anyone with information is asked to contact the Kentucky State Police Post 1 at 270-856-3721 or anonymously at 1-800-222-5555. Citizens may also report tips anonymously through the KSP app. The app is available for iPhone, iPad and Android applications and can be easily downloaded free of charge through Apple and Google Play stores.